Weekend Preview: No Racing, Happy Lunar New Year! Happy Year of the Horse! Racing returns next weekend. The lot of a foreign jockey here is not an easy one. And it’s especially not easy if there are 3 other foreign jockeys ahead of you when you arrive. However, one French jockey is trying to overcome those odds. Jerome Lermyte made his Korean debut at the beginning of November last year. While on first inspection his bottom-line figures of 2 wins since then do not seem especially impressive, new light is shed on them when it is considered that those 2 wins have come from just 22 rides and that he’s found the money with 10 of those. The 24-year-old Lermyte started his apprenticeship in France in 2006, winning the apprentice championship the following year. In Europe, Lermyte has ridden in Germany, Spain and Switzerland as well as riding 20 winners in a 6-month stint in Macau and 15 during 3 months in Qatar. In total he has over 300 career winners, 20 of them coming in group or listed races. Lermyte’s first Korean winner came for Peter Wolsley at the end of December but it is his 2nd, which was last Friday at Busan that may be more significant. 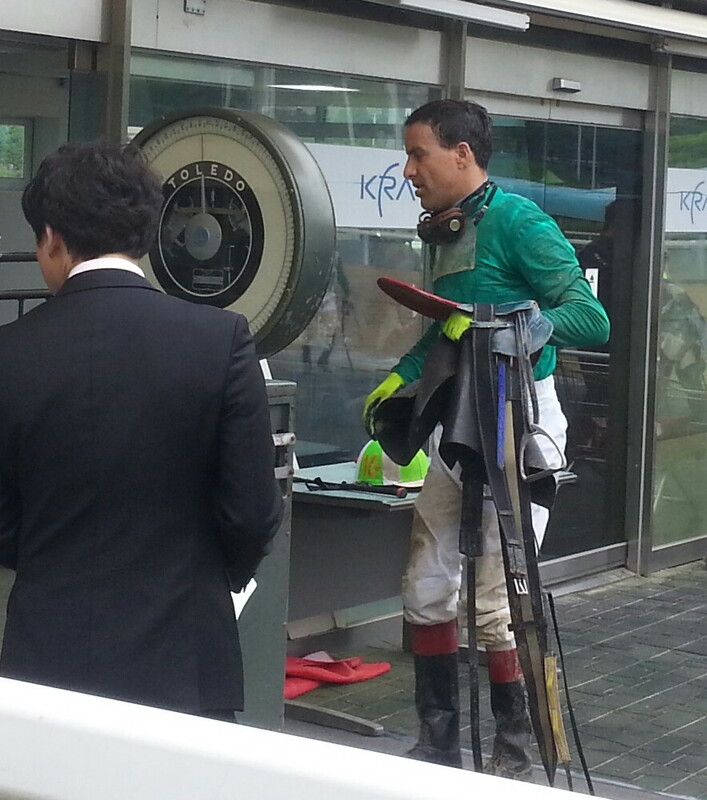 That win came on the first Korean runner for South African trainer Bart Rice who Lermyte is set to act as jockey for. It was a good ride, with the French rider getting the better of Darryll Holland in a tight finish. He’s going to need plenty more of those to help the Rice stable get established. For both jockey and trainer, February is looking like an important month. The emerging combination of Australian trainer Peter Wolsley and British jockey Darryll Holland was in top-form on Friday with the pair combining for 4 winners at Busan. It looked for a time that South African trainer Bart Rice’s debut winner was going to be the story of the day among Busan’s foreign contingent. However, Wolsley and Holland took over, winning race 5 with 11/1 Never Seen Before (Ecton Park), race 6 with even-money favourite Bulpae Dongja (Purge) and race 7 with 2/1 favourite Cinderella Man (Southern Image), the latter an 8-length stroll. They weren’t finished either as they returned to take race 10, with 8/1 Gaseumeuro (Pico Central) getting the better of a very tight finish with the Masa Tanaka ridden Sea Monster. With Wolsley’s stable jockey Jo Sung Gon in Macau for the first few months of 2014, the Wolsley, Holland partnership is one that will be watched closely – by punters and rivals. 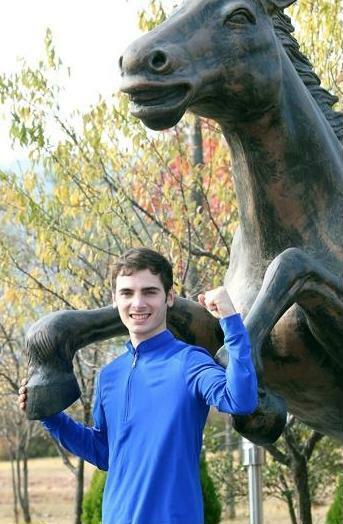 Yesterday’s wins took Holland to the top of the 2014 Busan Jockey Chaampionship with 10. Wolsley is joint-top of the trainers’ table with 7 alongside Kim Young Kwan. 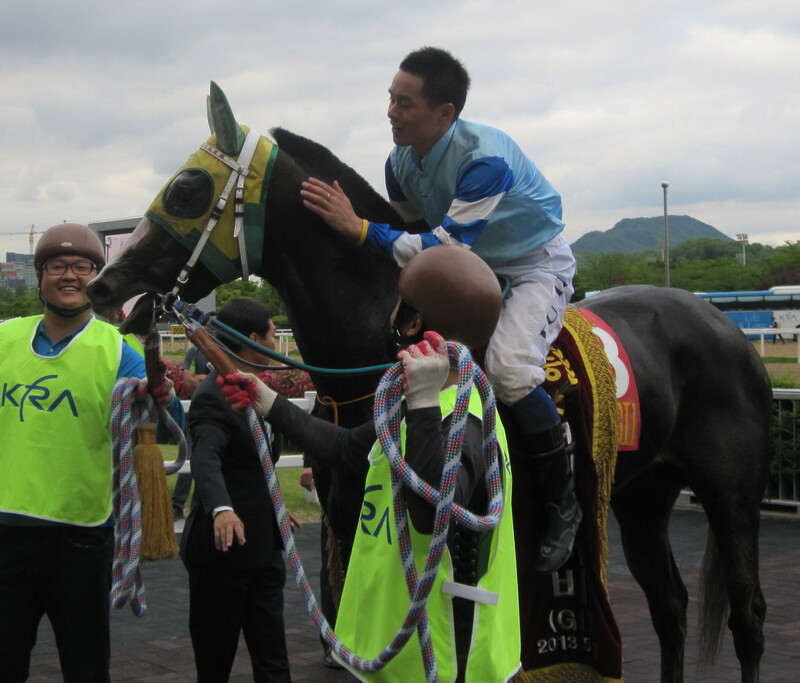 * In Friday’s feature race at Busan, there was a welcome return to the winner’s circle for Gyeongbudaero (Menifee). The 2012 KRA Cup Mile winner was 6th in the Grand Prix Stakes on his last outing in December and out-battled US import Donggeupchoegang (Bernstein) – to who he was conceding 7 kilos – to win the 1900M class 1 event by a nose. 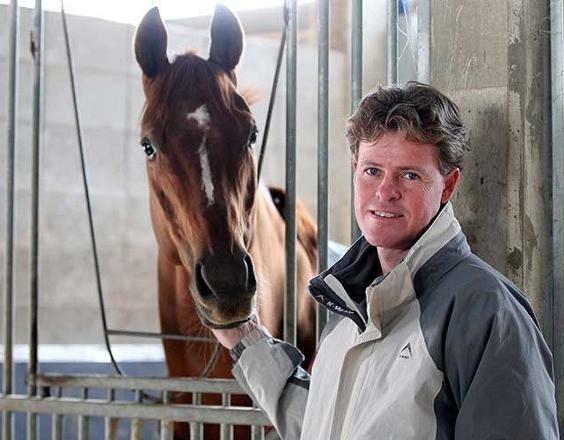 Bart Rice, who arrived in Korea at the end of last autumn, finally sent out a runner at Busan Race Park on Friday afternoon and he fond immediate success as that runner, Gyeongnam Sinhwa, won race 3. Watts Village scored an unforgettable victory in Tokyo last November but found himself brought back down to Earth this afternoon as he was handed a defeat on his season re-appearance at Seoul Race Park. And it was a horse ridden by a Japanese jockey that did for him as Ikuyasu Kurakane guided Indian Blue (Henny Hughes), 4th in the Grand Prix Stakes last month, to victory by a length. On board Watts Village, Seo Seung Un tried to repeat the same tactic that served him so well in the Japanese capital and headed straight for the front. By contrast, Kurakane took Indian Blue right to the back. There was a key difference this afternoon though as they were racing over 7 furlongs as opposed to 6 in Tokyo and this time Watts Village just couldn’t hold on. Once Indian Blue got into the gear in the home straight, it was just a matter of time and she swept by inside the final 50 metres. Indian Blue was recording just her 4th win in 14 starts, however, she’s only been outside the money on 2 occasions and has shown she can claim prizes at distances ranging from 1000-2300 metres. It seems the best is still to come for her. As for Watts Village, now that a trip to Dubai is off the table, he’ll be back. He still looks very difficult to beat at sprint distances. Despite being beaten on Watts Village, the day was by no means a write-off for Seo Seung Un. One race earlier, the jockey guided filly Cheonnyeon Dongan (Ecton Park) to a comfortable victory in the first of the 2 co-feature races. Now entering her 4-year-old season, Cheonnyeon Dongan was 4th in last year’s Korean Oaks but followed it up with back-to-back Stakes wins in the Dong-a Ilbo Trophy and NACF Chairman’s Cup. Today made for her 3rd straight win and her first against class 1 mixed company. 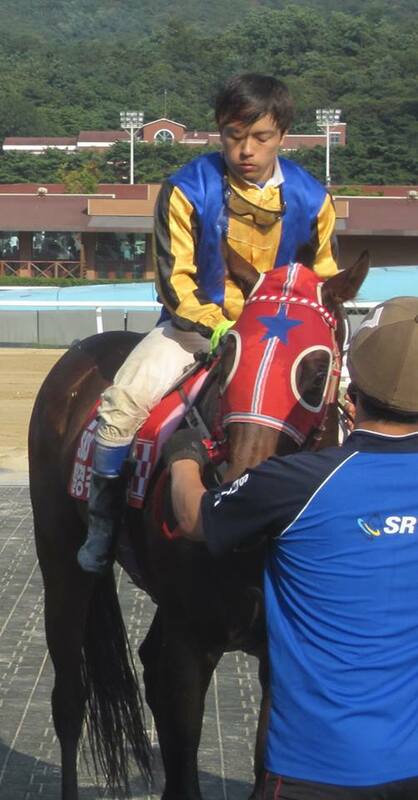 Down at Busan, it was another successful day for Darryll Holland. The British jockey now lies in joint 1st-place with Joe Fujii in the Busan Jockey Championship after victory on promising US import K Teryus (Not For Love) in race 5. Holland is yet to draw a blank at a single meeting in 2014. 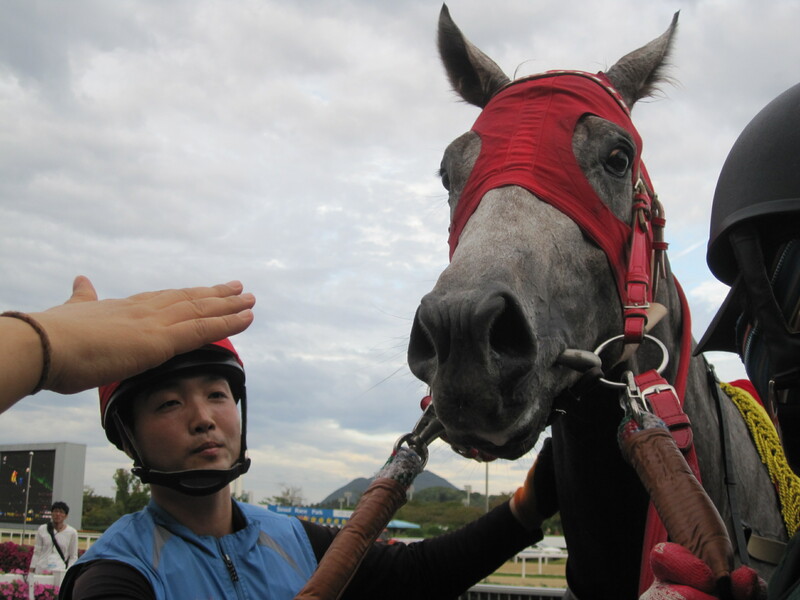 Holland couldn’t score in the feature race though (not having a ride in it didn’t help) as Choi Si Dae guided High Five (Creek Cat) to a 3-length victory from My Key (Macho Uno). Next weekend is the last before racing takes a short break for the lunar New Year holiday. As such, a number of big names are expected to be in action, especially at Busan where beaten Grand Prix runners Beolmaui Kkum and Gyeongbudaero are entered. The weekend’s racing got underway at Busan today – Joe Fujii and Darryll Holland both riding winners – and there’s plenty more to come on Saturday and Sunday. Perhaps the most interesting entry is that of Watts Village in the very last race at Seoul on Sunday. The US import won the Japan vs Korea Challenge at Ohi in Tokyo last November having earlier run second in the corresponding race in Seoul. That first performance earned him a rating qualifying him to run at the Dubai Carnival, however, his entry here means that’s now off the table. He’ll line up as favourite in a race over 7-furlongs which also sees a number of also-rans from last months Grand Prix Stakes make a big drop back in distance to try their luck. Speedy First [Menifee – Speedy Deedy (Victory Gallop)] is a 4-year-old filly who has won 6 of her 10 starts to date. In May last year, she became the 5th filly to win the Korean Derby and added another classic in August with a comfortable win in the Oaks at Busan. Major King [Pico Central – Still Golden (Gold Fever)] was third in the Derby, but had his revenge in the Minister’s Cup, the final leg of the Triple Crown when he scored a 2-length win. An out of sorts Speedy First finishing last that day. Neither finished the 2013 season especially strongly, Speedy First slumping to another defeat in the Gyeongnam Governor’s Cup while Major King was an also ran in the President’s Cup, the effects of a long season being blamed for both. 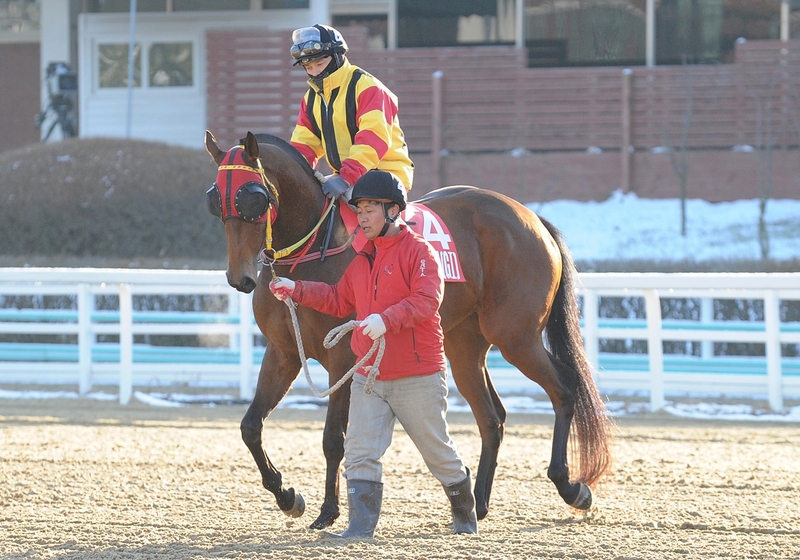 They are by no means the first Korea bred horses to run Stateside. In 2008, a horse called Pick Me Up went to the US and ran – extremely unsuccessfully – at Charles Town, Laurel and Delaware Park. A year later, 2007 Korean Oaks winner Baekpa also went across and ran similarly poorly. If all goes to plan, Speedy First and Major King will make their American debuts in April. We’ll be following their progress.